The boundary between Iraq and Kuwait was first defined in general terms in a 1913 convention between Great Britain and the Ottoman Empire. However, disagreement over the interpretation of parts of the boundary description and a dispute concerning sovereignty of the islands of Warbah and Bubiyan prevented a more detailed delimitation during the colonial era. Iraqi claims to sovereignty over all of Kuwait following Kuwaiti independence in 1961 culminated in an invasion and a short-lived occupation in 1990. 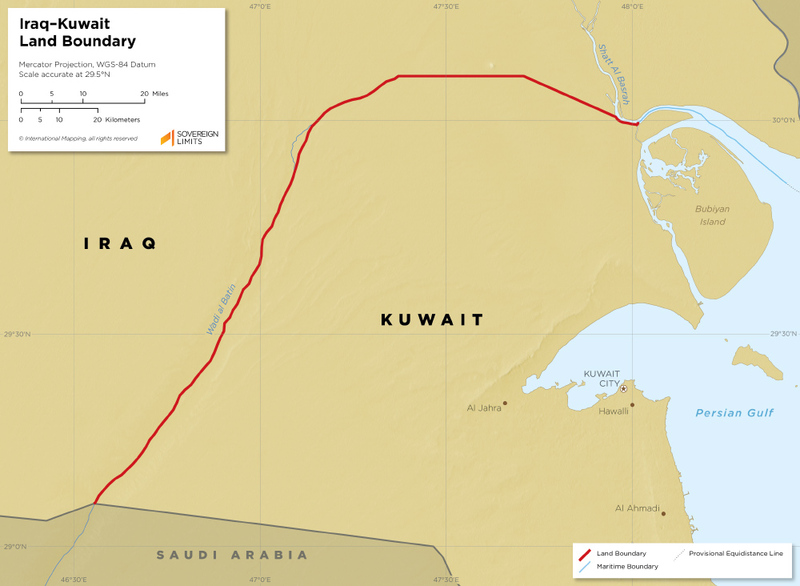 After Iraq was driven out of Kuwait, a United Nations boundary commission delimited the border described in the 1913 convention with coordinates and demarcated 200 km of the line with 106 pillars, plus intermediate markers. 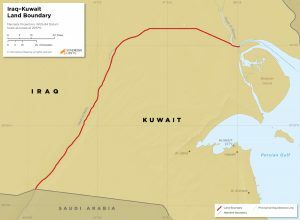 The boundary following the low-water line on the Kuwaiti side of Khowr Zhobeir and the maritime boundary along the median line of Khowr Abd Allah was also delimited by the UN commission. Iraq accepted the boundary in 1994, but the line remains a source of occasional tension between the two states.